The Season One patch for Warhammer 40,000: Inquisitor – Martyr has dropped, and players can now carve up a new enemy faction – the evil space elves known as the Drukhari, or Dark Eldar. New units in this particularly nasty faction include Wracks, Talos and Cronos Pain Engines, Incubi and Succubi, Kabalite Warriors, and “insane flesh-sculptors” the Haemonculi. Charming. 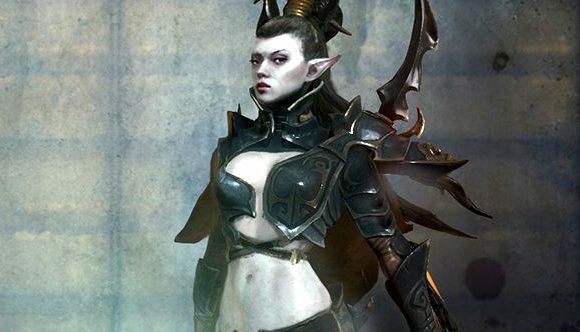 Season One also adds three new investigations to the story campaign, which all focus on the introduction of the Dark Eldar to the game’s world. There’s also a new Tier II subsector with five additional systems to explore, and an increase in the level cap from 50 to 70. Developer NeoCore describes the Drukhari as “cruel, terrifying and sadistic raiders who descend upon their prey to feed their unholy appetites”, and who revel in “torture, piracy, enslavement and torture.” Clearly they love torture twice as much as the rest. As its name suggests, Season One of Warhammer 40K: Inquisitor – Martyr is the first of “many” planned free content seasons for the game being introduced by developer NeoCore. The developer says that these special DLC patches are based around a “strong central theme”, and will bring in “new enemy types, new investigations and new conflicts” for players to experience. According to the game’s Roadmap, Season Two will arrive later this year and will introduce another new faction along with an additional Tier III subsector, a further increase to the level and PR cap, and new story investigations – presumably based around the unannounced faction. Season Three will follow in Q1 2019.